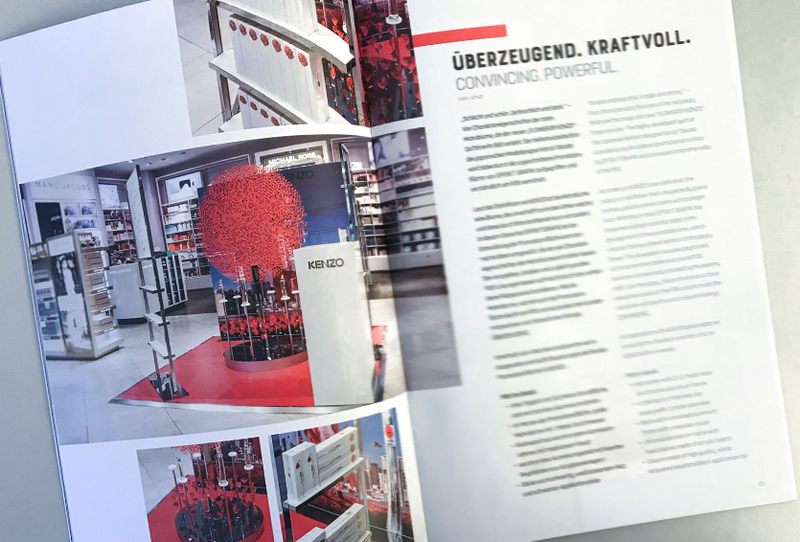 With the new image folder "IMPULSE" EFFEKT GRAFIK presents itself more modern than ever before and shows, by using an impressive visual world, how eye-catching POS solutions in the retail sector can be. 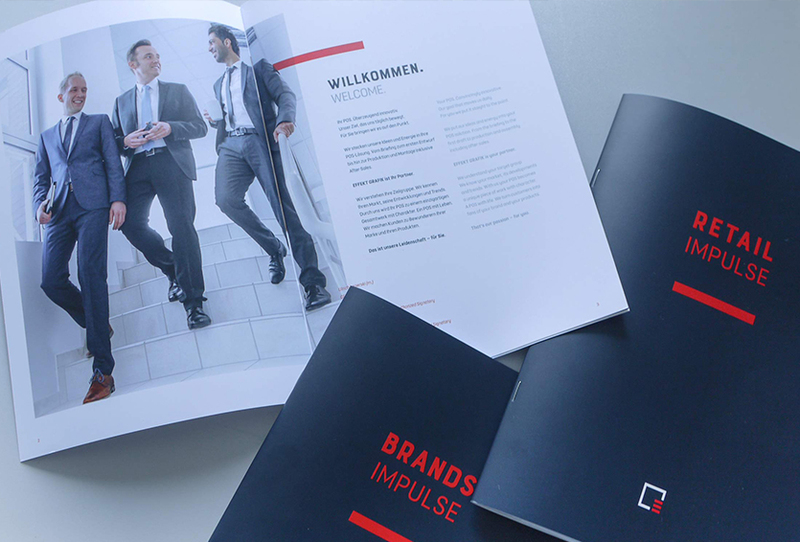 In order to create the brochure as vivid and as close to the project as possible, an in-house team of management and marketing department joinned at the very beginning of the project. The common goal: Creating a clear definition of requirements and objectives that this brochure should meet. Our effective approach to provide you with the perfect insight of our company as a strong partner at the POS. 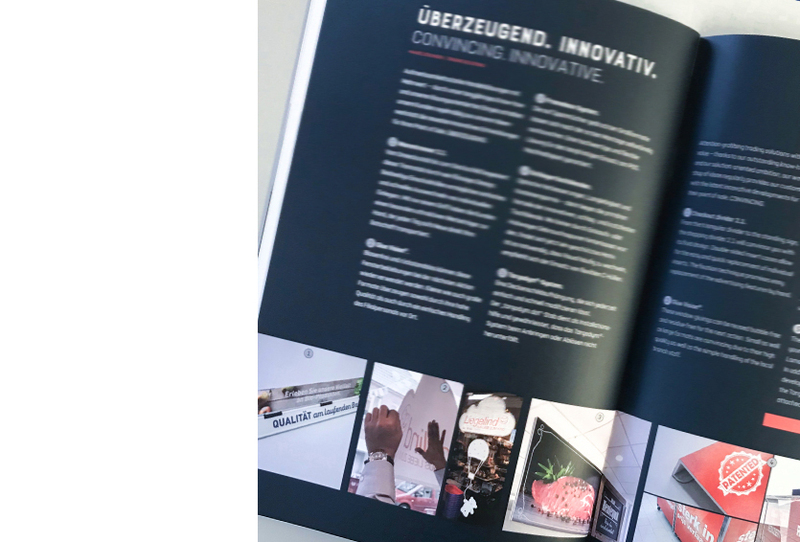 The first, white brochure presents EFFEKT GRAFIK and the added value that our solutions and our service offer to you. 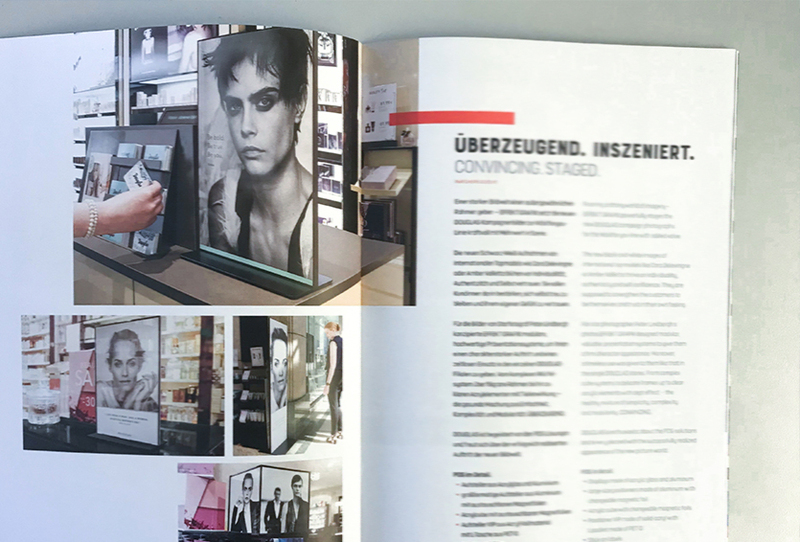 The brochures "RETAIL" and "BRANDS" represent our priority areas at the POS. 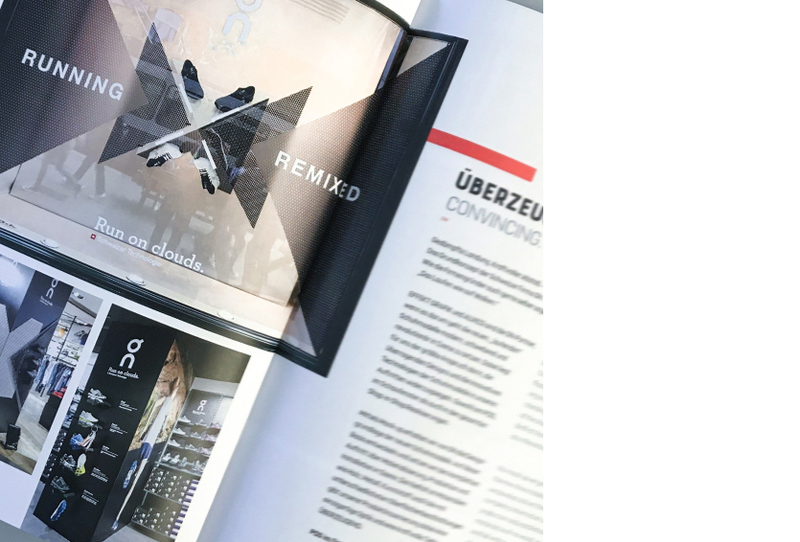 A consistently used arrangement of colours and images coherently combines all three brochures, creating a harmonious guideline and a high recognition value. 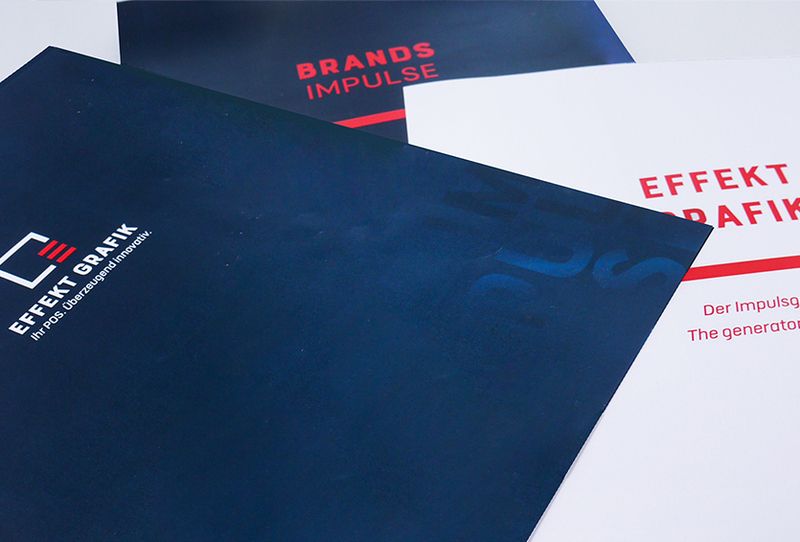 Our "IMPULSE" folder provides you with major projects realized by us that work as suggestions and incentives. A good way, we think, to introduce the different and varied impulses to you that we can realize at your POS. Practical and project-related - that was important to us. That's why we have conciously decided against a standardized product view, such as in the catalog. Because our added value for you is clearly set: we are your convincing full-service partner at the POS. Your co-thinker and impulse generator. Nothing more and nothing less. We don’t regard you as standard. You are individual. Have a look and get your individual impulses now - here you can directly download the folder!